Michael E. Porter’s 1980 book Competitive Strategy is a fine example of critical thinking skills in action. Porter used his strong evaluative skills to overturn much of the accepted wisdom in the world of business. By exploring the strengths and weaknesses of the accepted argument that the best policy for firms to become more successful was to focus on expanding their market share, he was able to establish that the credibility of the argument was flawed. Porter did not believe such growth was the only way for a company to be successful, and provided compelling arguments as to why this was not the case. His book shows how industries can be fragmented, with different firms serving different parts of the market (the low-price mass market, and the expensive high-end market in clothing, for example) and examines strategies that businesses can follow in emerging, mature, and declining markets. If printing is in decline, for example, there may still be a market in this industry for high-end goods and services such as luxury craft bookbinding. 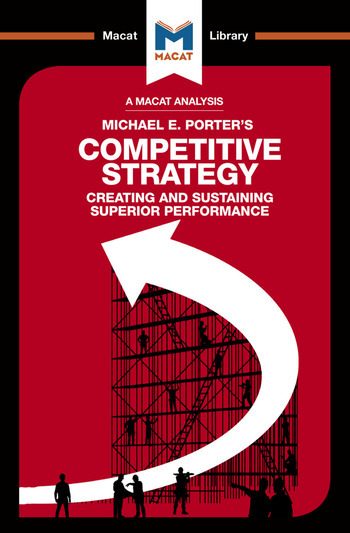 Porter also made excellent use of the critical thinking skill of analysis in writing Competitive Strategy. His advice that executives should analyze the five forces that mold the environment in which they compete – new entrants, substitute products, buyers, suppliers, and industry rivals – focused heavily on defining the relationships between these disparate factors and urged readers to check the assumptions of their arguments. Porter avoided technical jargon and wrote in a straightforward way to help readers see that his evaluation of the problem was strong. Competitive Strategy went on to be a highly influential work in the world of business strategy. Pádraig Belton undertook his doctoral research in politics and international relations at the University of Oxford. A prolific financial, business and political journalist, his work has appeared in publications including the Irish Times, the Guardian, Telegraph, Independent, the Irish Independent, the Atlantic, the New Statesman, Prospect, the Times Literary Supplement, and Foreign Policy.